Elaphidion mucronatum (Spined Oak Borer). Size: approx. 18 mm. Photo: 05/12/15, 9 pm. 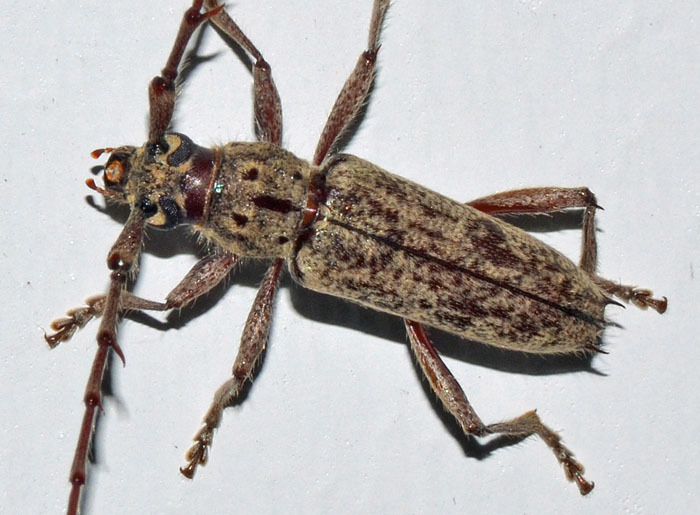 The Spined Oak Borer is a common long-horned beetle with very long femoral spines. Its larvae feed underneath dead hardwood bark for the first year and than deeper in the second year.